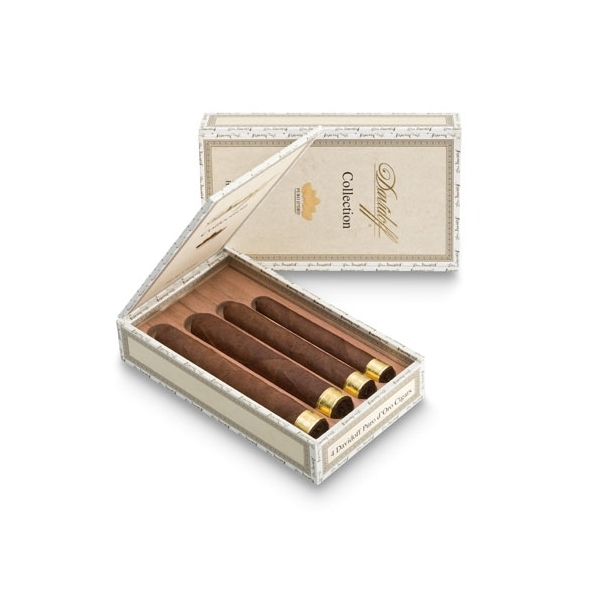 The new Puro d’Oro line, featuring the exclusive Davidoff Yamasá Wrapper, offers an unparalleled palate stimulation that delivers a very distinguished taste. Its dark, slightly rustic, oily wrapper imparts a subtle dominance and complexity to the medium bodied puro blend of select Dominican-origin tobaccos. Coffee and spice notes combine to provide a long, pleasing finish.